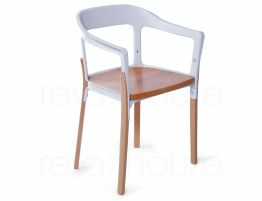 This stunning Match Dining Chair - White features a white powder-coated metal framing around a Danish style furniture edge. 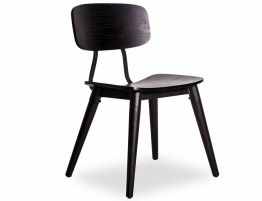 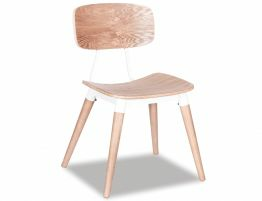 With solid wooden legs and a fine plywood veneered moulded seat and back, the Sean Dix Copine inspired Dining Chair is funky by nature and sure to be an exciting accessory to your dining space. 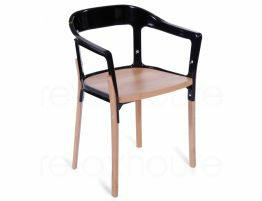 The Match Dining chair is complemented by dining tables and coffee tables in a variety of timbers and colour styles. 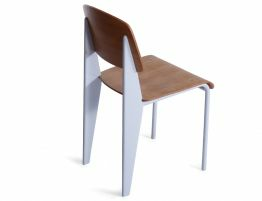 The durability of this chair is a given with its hardy frame and solid timber legs. 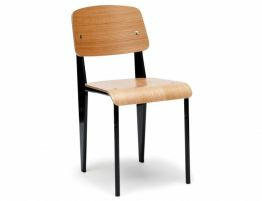 The colour of the timber has a warm natural tone and ever so popular. 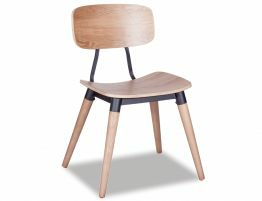 A designer chair such as this will not be disappointing when it comes to entertaining as the Match Dining Chair is sure to get everybody talking.